In this Thursday, April 11, 2019, photo provided by the Center for Coastal Studies, a baby right whale swims with its mother in Cape Cod Bay off Massachusetts. 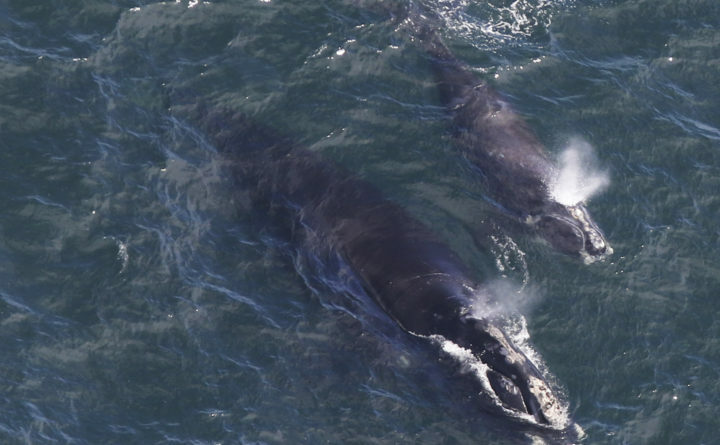 Researchers say they have located three right whale calves in the bay recently after finding none in 2018. The whales are among the rarest in the world.